Our floor coatings here in Liquid Floors are textured with the marble chips we have always used. The designs comes in various choices such as pebbled, coarse, ribbed, yet in a non-abrasive surface. Our flooring systems can be placed in areas which will not be wet constantly and there is no additional grit needed, as we will assure that your brand new floors will contain non-slip properties with the use of the natural texture from stones. Commercial locations like Veterinarians, Pet Stores, Animal Hospitals, Boarding Houses, and Shelters that caters to the needs and health of pets usually have a major concern with flooring systems. As we all know, different kinds of animals can have a number of negative effects on the floors, through accidents, shedding, nails, which could be caused by their behavior. This is the reason why Animal and Veterinary clinics and establishments need to choose the best floor surface covering that is clean, safe, durable, stain resistant, and relatively easy to both maintain and sanitize. This is why they hired Liquid Floors. 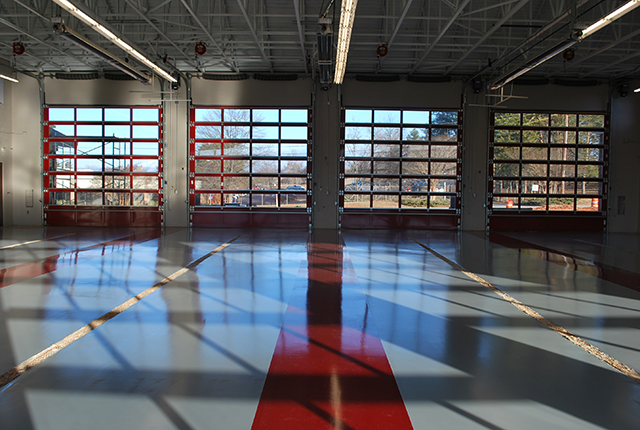 Liquid Floors flooring systems do not require high and costly maintenance at all after these have been installed. We can assure that these floors are hygienic and safe for regular foot traffic. Our floor coating products can assure you that it can protect your business floor including your employees. So, are you in need of a high performance flooring that is design-forward, functional and budget-friendly at the same time? If you are interested in getting your floors coated with epoxy and urethane, then you must call Liquid Floors at 877-547-8431 now and schedule an appointment or a meeting and we will cater to your needs as soon as possible.